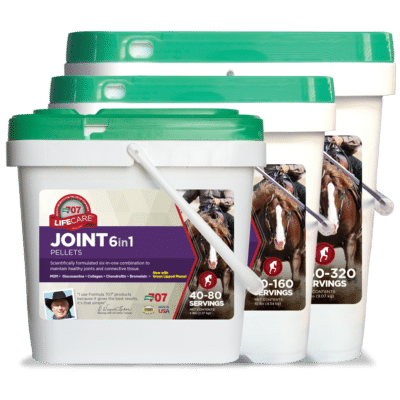 Sustain healthy joints in your performance horses and keep senior horses sound longer. COMPLETE support for your horse’s cartilage, tendons, ligaments and joints. Aids in reducing inflammation and supporting soft tissues with Green-Lipped Mussel, Bromelain, and MSM. May enhance lubrication in joints through Glucosamine, Collagen, MSM and Chondroitin.